Waipo`o Stream cascades over several small drops and pools before plunging hundreds of feet into Waimea Canyon. Most people see this waterfall from one of several lookout points along the road leading to the Waimea Canyon Lookout. 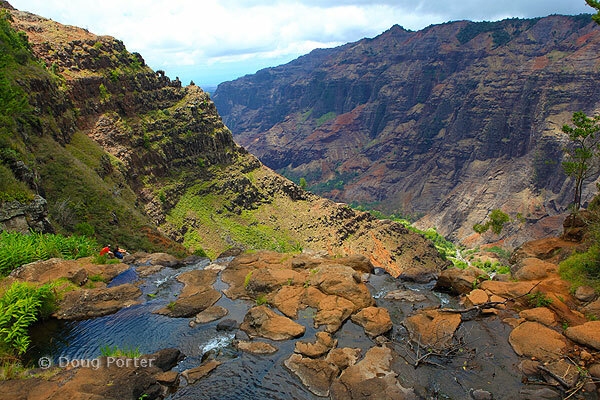 The few that hike the trail to the top of the falls get a spectacular view from the top of Waipo`o Falls.